If you go to a concert or festival you particularly want to enjoy the music. But you don't want to incur hearing damage or a permanent ringing in your ears. 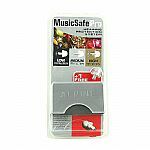 Especially for music lovers, there are now the Alpine PartyPlug Pro Natural earplugs. These earplugs have special rectilinear AlpineAcousticFilters. This means that the music is attenuated equally at all frequencies. The music quality remains perfect and only the harmful sound is muted. It's like you've turned down the volume button. In addition, thanks to the filters you also won't have an isolated feeling, and conversations remain properly audible. 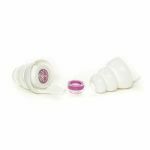 Alpine PartyPlug Pro Natural earplugs are specially developed for use during festivals, concerts and going out. You can wear them without any problem all day and night. 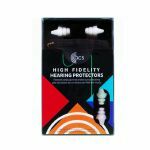 The earplugs are made of soft and flexible AlpineThermoShape material. This forms to the ear canal for optimal fit and attenuation. The material contains no silicones. As a result, the earplugs don't itch or irritate. 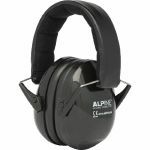 Alpine earplugs are easy to clean and are durable. 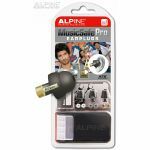 The Alpine PartyPlug Pro Natural comes with a handy pouch to keep your ear plugs in as standard. You can also attach the pouch easily to your key ring. In addition, every pack contains a carrying cord. Attach the ear plugs to the cord and hang it around your neck. Ideal if you briefly take out the earplugs. You can quickly and easily clean the earplugs with the supplied Alpine Clean cleaning spray (5 ml).